For involuntary passage of urine and urinary diseases. Strengthen kidneys. 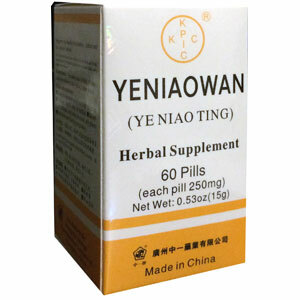 For weak kidneys, impotence, urinary problems, urorrhagia, neurasthenia, rheumatic pain, numbness. Guang Dong Yi Kang Pharmaceutical Co, Ltd.
For involuntary passage of urine and urinary diseases.